Screening from Friday August 14th. This is a new comedy directed by Noah Baumbach and starring his frequent collaborator Greta Gerwig. An earlier outing for the pair was the excellent Frances Ha (2012). Baum is an astute purveyor of offbeat comedy whilst Gerwig is a distinctive and intelligent on-screen presence. 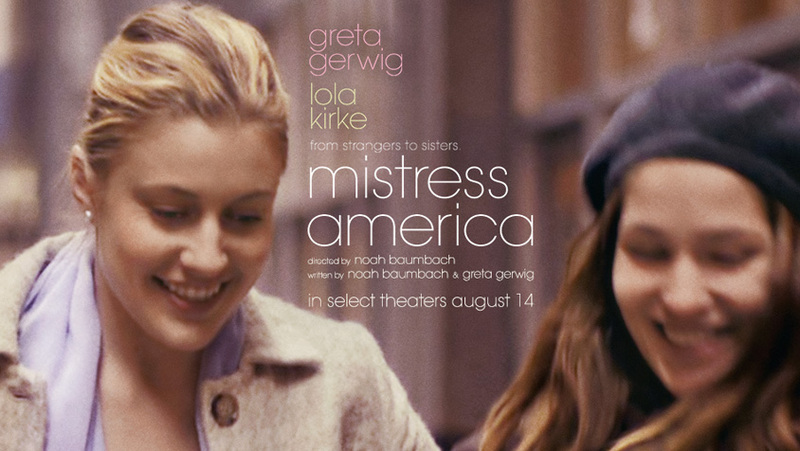 Gerwig plays Brooke, a New York street-wise mentor to newly arrived Tracy (Lola Kirke). The trailer suggests that Gerwig brings her customary slightly cookie but engaging personality to the role. The Sight & Sound reviews draws parallels with the screwball comedies of the 1930s. This was one of the great Hollywood genes and it has frequently provided echoes in the better comedies of contemporary Hollywood. It was also a genre that provided strong women’s roles for stars like Katherine Hepburn. It is not offering undue praise to Gerwig to suggests that she possesses some of the qualities of the earlier icon.